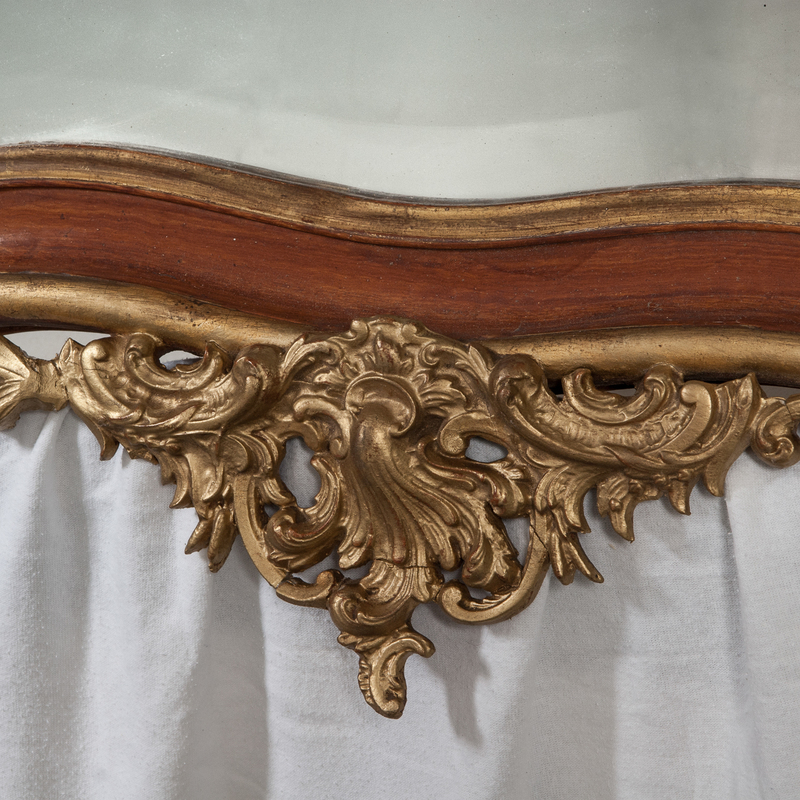 Italian carved gilt wood wall mirror in Rococo style, red painted and gold. 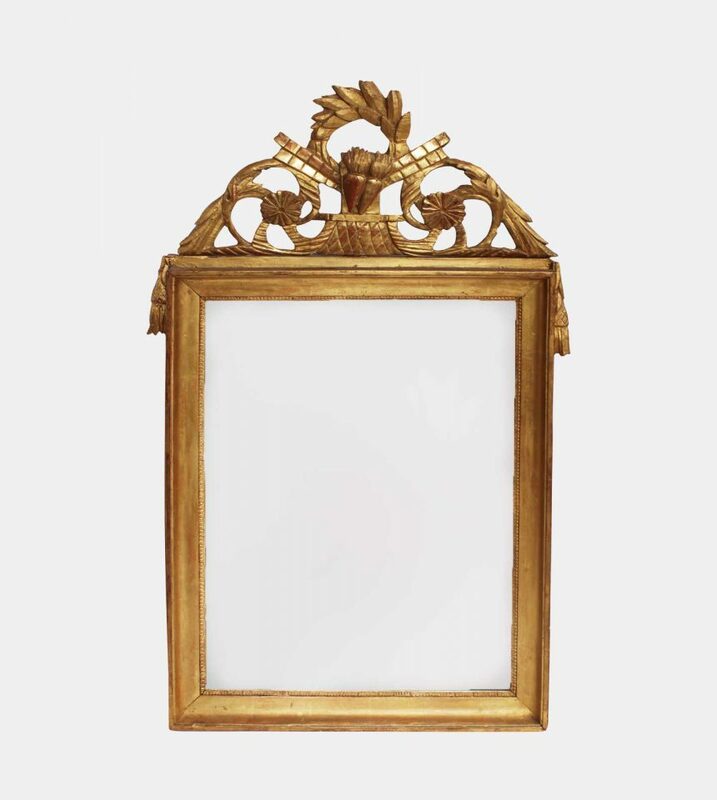 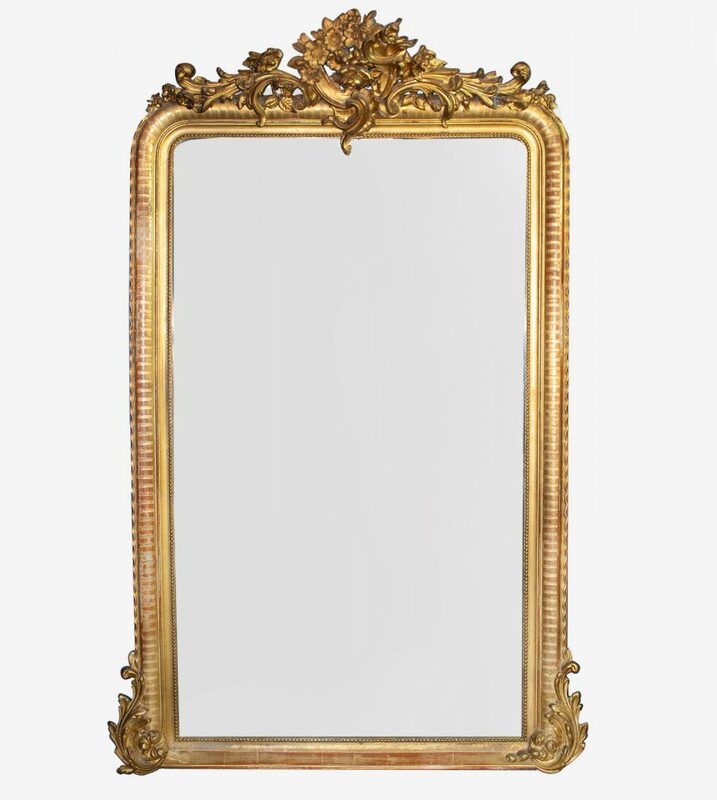 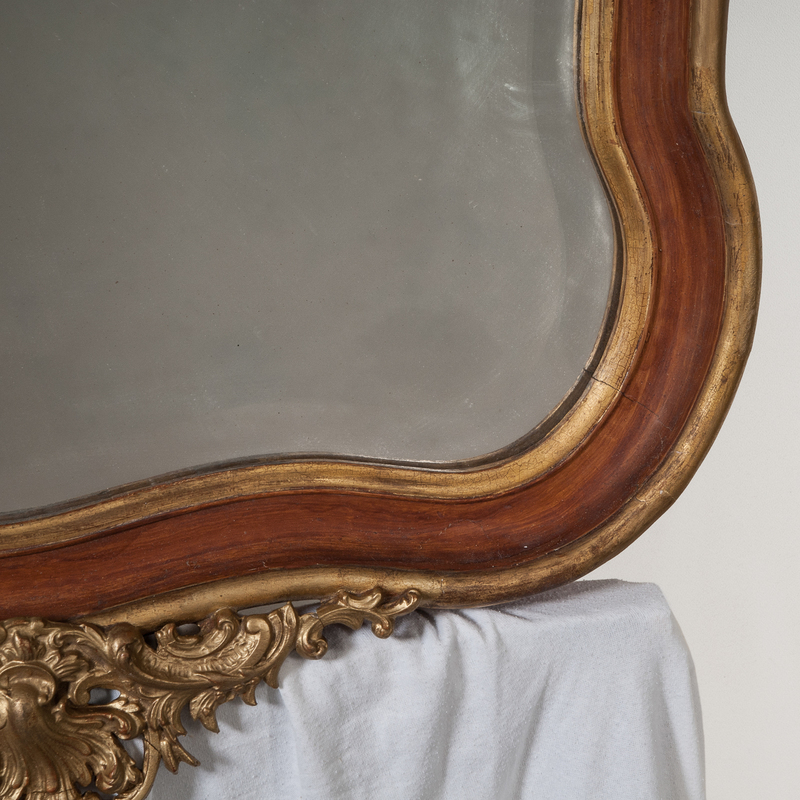 This is a lovely and very decorative Italian Rococo style gilt wood mirror. It is masterfully crafted in hand carved gilt wood and there is no mistaking its unique quality and design, which is certain to make it a treasure in your home. 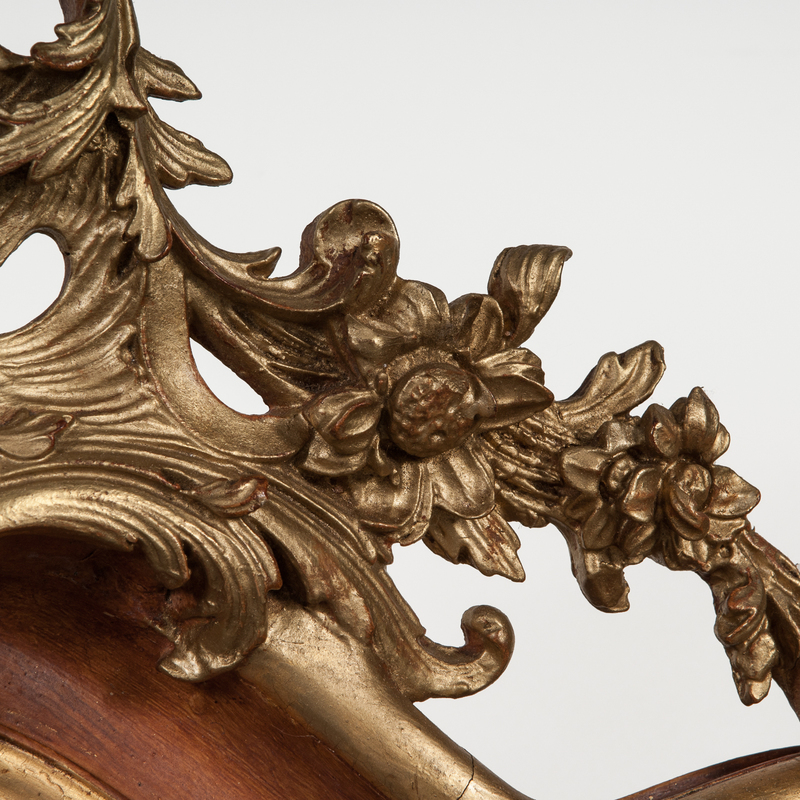 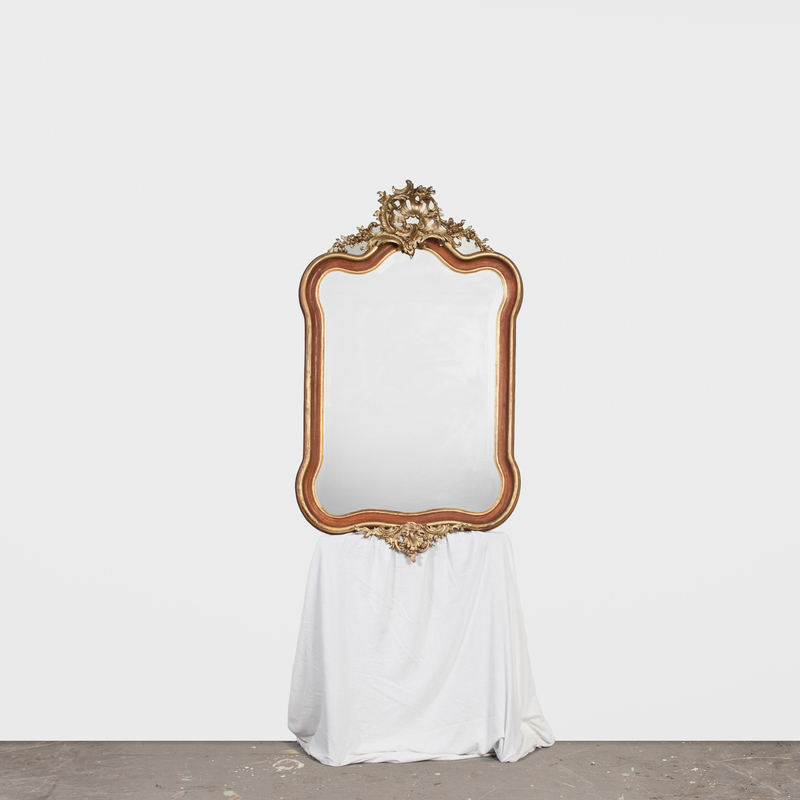 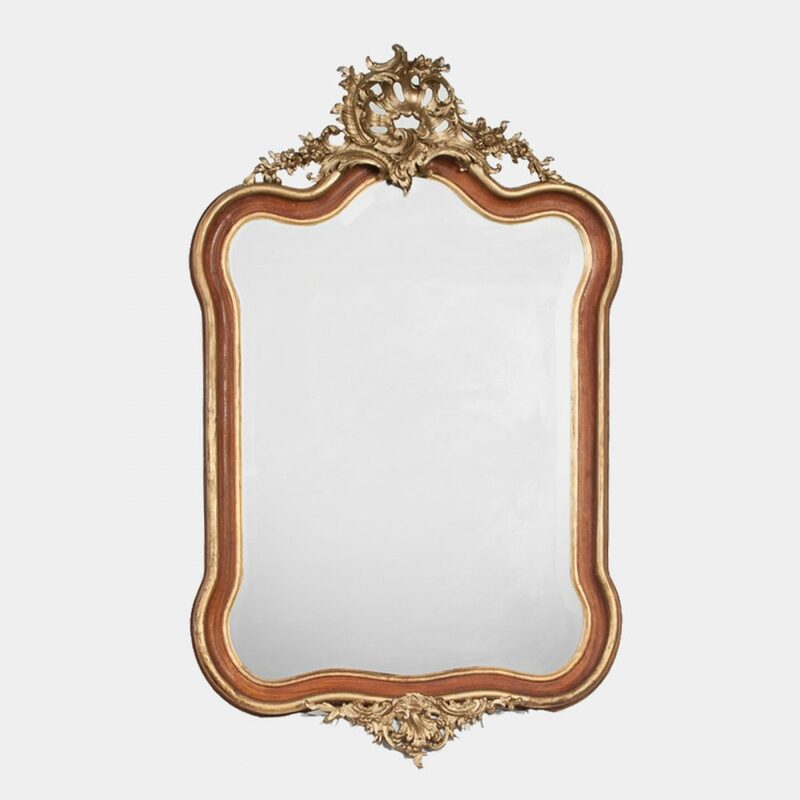 This mirror epitomizes the Rococo style with its elaborate floral decoration. 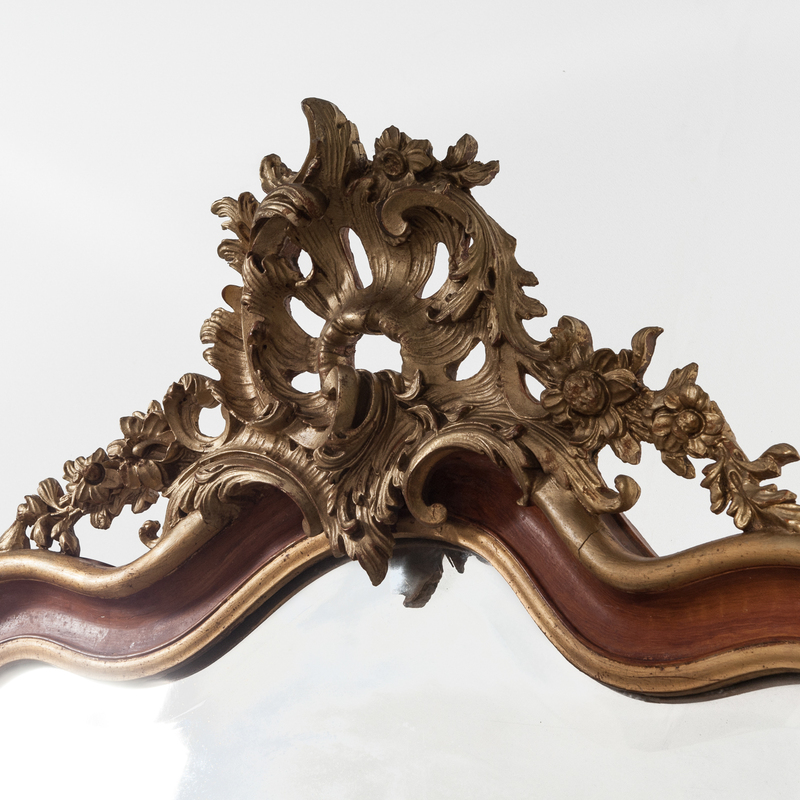 The asymmetric design of entwined flowers and leaves with a scalloped shell add to its appeal as a unique furniture piece. 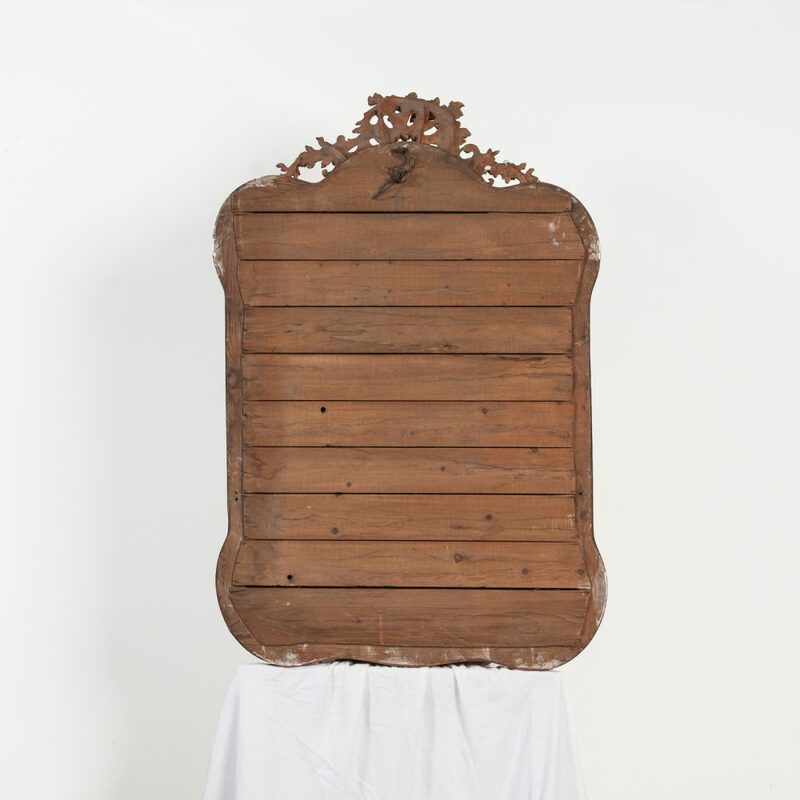 H 140 cm. 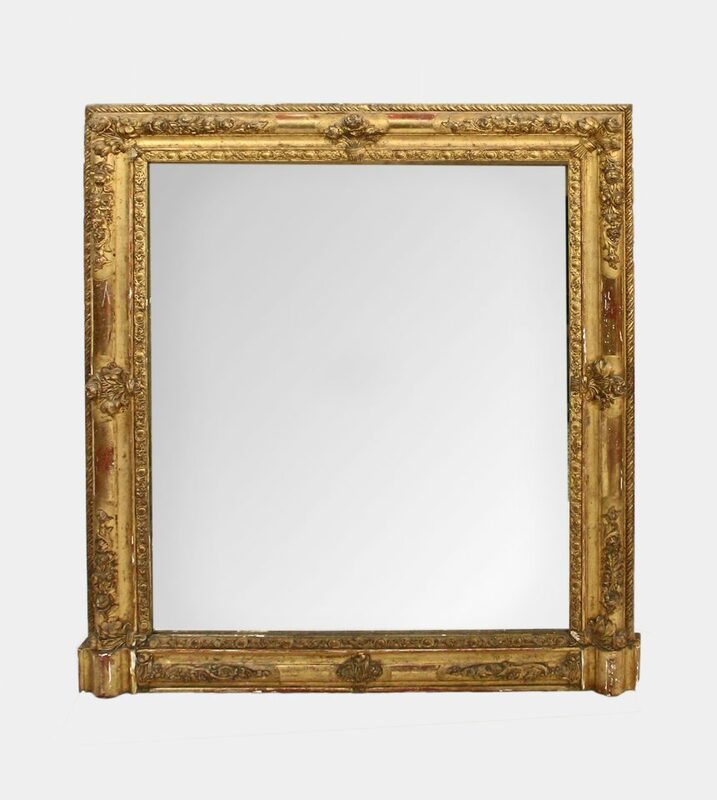 W 83 cm.